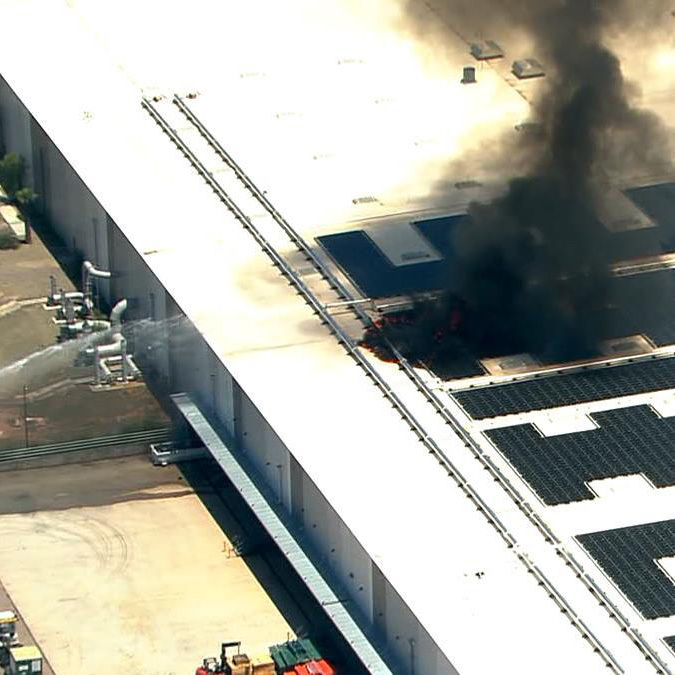 Firefighters are working to contain a fire at the Mesa, Arizona building where GT Advanced Technologies had been making synthetic sapphire glass for the iPhone and Apple Watch. The blaze currently seems to be on the roof of the building, and may not have spread to the building's interior. Apple purchased the structure and then leased it to GTAT for sapphire glass production. The company failed to produce the glass needed and ultimately filed for bankruptcy protection while leaving Apple without the material it needed for watch and phone surfaces. Apple took back the factory and has been planning on turning it into what it called a "global command center." Since the building currently isn't in use, it's unlikely anyone was inside. There isn't, however, any official word yet on whether or not the building really is empty. Update: The fire is out and seems to have been limited to the solar panels on the building's roof. 12 people were evacuated from the building with no injuries reported. There isn't any word yet on the cause of the fire.